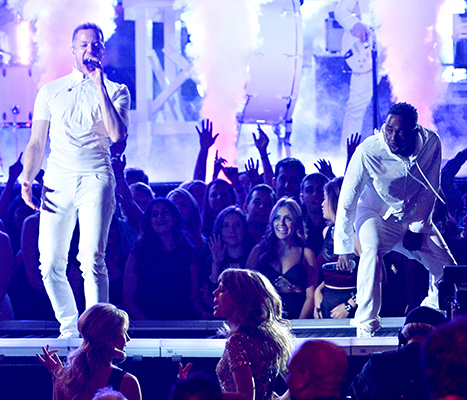 Kendrick Lamar and Imagine Dragon’s performed together last night on the Grammys. Kendrick performed ‘Swimming Pools’ and Imagine Dragon performed ‘Radioactive’ great mix. I honestly wasn’t expecting this performance to be one of my favorites but it was HOT! Wonderful Collab! OnPoint!